Deadbolts and home security systems are a part of everyday life. But how much does the average person know about securing their computer, tablet or smartphone to protect personal data? Bart Cone of Pickens, a computer science student at Southern Wesleyan University, has studied extensively the security issues that affect computers and other digital devices. He offers steps anyone can take to minimize risk. This past year, Cone placed among the top contestants from around the world in CSAW CTF, a competition of challenges designed to solve technical security problems. He has demonstrated to classmates what hackers can do when they compromise a computer, such as taking pictures with someone’s webcam or recording audio. Cone pointed out that cyber-thieves are clever, as evidenced by attacks on government agencies, including the U.S. Department of Revenue and recently the S.C. Department of Revenue. According to Cone, everyone should be prepared for the possibility of an attack. Choosing antivirus software can be daunting, given the many choices between free and paid subscription-based products. Cone personally uses AVAST on his computers running Windows, but he adds that free software like this subjects its user to the occasional advertisement. He also recommends anti-malware software such as Malware Bytes, and frequent updates of commonly-used software such as Java, Flash and Adobe Reader. Windows users should routinely install recommended Windows updates, back up their data and practice “safe surfing” on the Internet, avoiding pornographic and other questionable websites through which someone can gain entry into your computer. Emails are another favorite point of entry. Cone recommends not opening any attachments from a questionable source and to know when a hacker disguises himself as a legitimate source. Cone urges making online purchases with websites that have secure communication. This can be determined by looking at the URL in the address bar and seeing if it starts with “https://.” Cone also notes that “https://” is commonly accompanied by a “lock” symbol in the address bar. Connecting to unsecure public wifi networks is often risky. When connecting to a network with a Windows computer, if asked to choose between “public,” “home” or “business,” Cone recommends choosing “public,” adding that Windows should automatically configure security options, such as preventing file sharing. Even home-based wireless networks can be hacked into and should be encrypted. Cone recommends changing wireless access point credentials set by the wireless router manufacturer. He suggests changing the encryption settings in the wireless router’s software to WPA2 and when prompted, enter a strong password of more than 10 characters, using a mix of upper- and lowercase symbols. When frequenting social networks like Facebook, users often “let down their guard,” posting personal information and opening themselves up to identity thieves or posting photos that have potential for embarrassment or even job loss. Even a birth date in the wrong hands can be damaging. 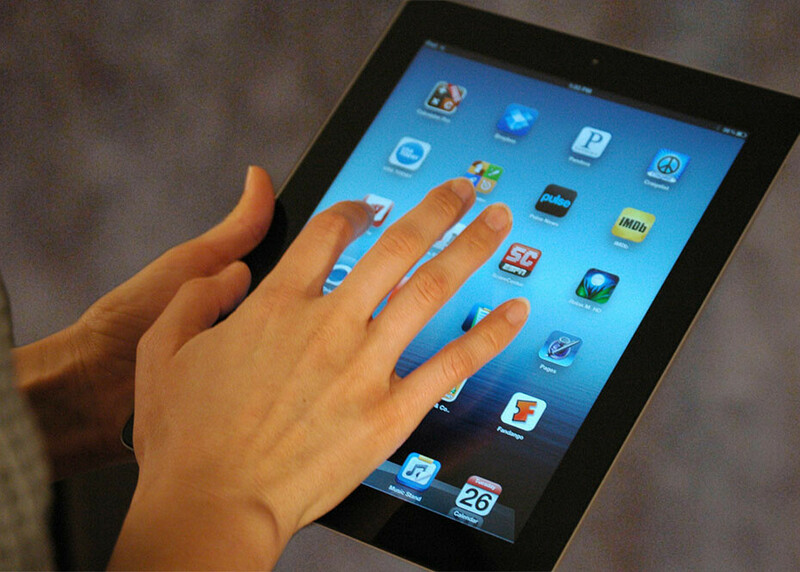 Many unwitting Facebook users become a conduit for scams offering free iPads and other valuable items. On smartphones, Cone recommends setting a passcode to prevent someone else from accessing your phone and its data. He also suggests turning off Bluetooth capability since this has been the target of recent attacks on mobile devices. Users of iPhones should download the “Find my iPhone" app, allowing them to track their phone by GPS if lost or stolen. This app can remotely disable the phone or set off an alarm that rings loudly for a couple of minutes. But he adds that on some applications, such as a camera, it’s wise to turn off “location services.” Android users need to be particularly careful when installing applications, since these phones have increasingly become the target of cybercriminals. It’s a good idea to back up computers routinely, using an external hard drive, thumb drive, or an online service such as Dropbox. Cone warns anyone finding a random thumb drive not to use it, because hackers have been known to leave infected drives lying around. He adds that passwords should never be stored in a computer file. Cone urges anyone suspecting they are infected to take action immediately. Windows users can run Malware Bytes software, but they should disconnect any wireless or Ethernet network connection to prevent it from infecting other networked computers. A common misconception among Macintosh owners is that “Macs can’t get viruses,” but Cone says “this is absolutely not true,” and urges Mac users to make sure their firewall is turned on. Apple users should take their device to a local Apple Store if they suspect they have a virus and not attempt to download software themselves.